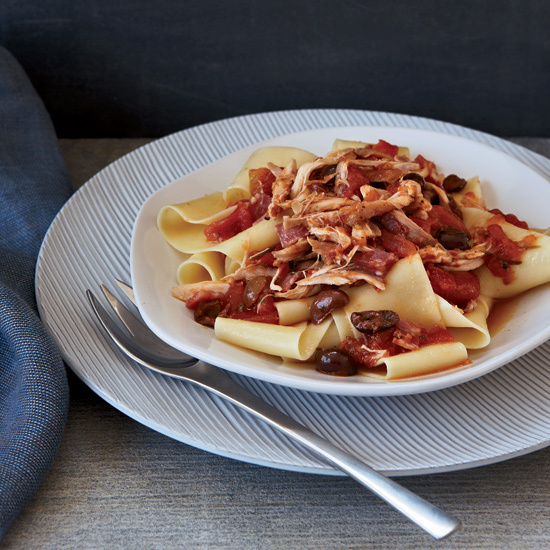 From a mixed mushroom ragout to a ragout of chicken with potatoes and chorizo, here are our favorite ragout recipes. 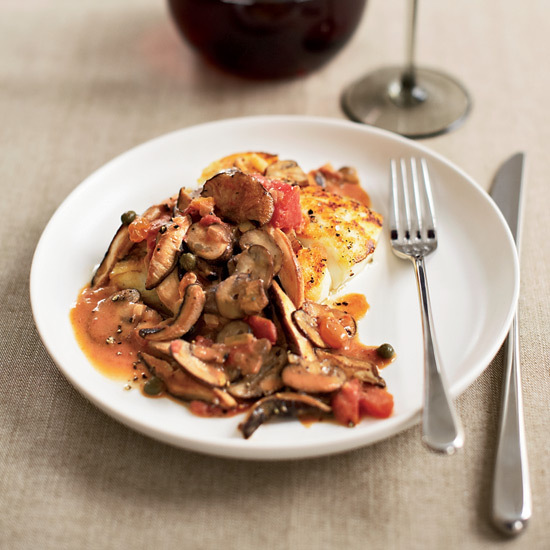 Stephanie Izard's rich, chunky mushroom ragout is great on everything from seared halibut to sauteed scallops and pasta. Use vegetable stock instead of chicken stock for a great vegan sauce. 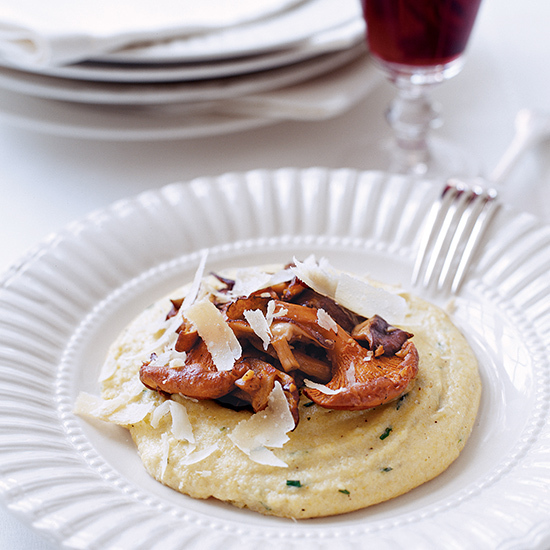 If you don't want to buy four different herbs for the polenta, you can use just one or two, keeping the overall amounts the same. 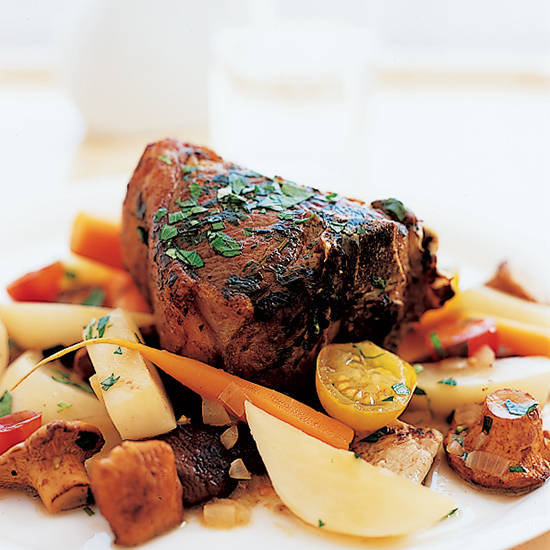 This ragout--slightly sweet and not too rich--is a wonderful mix of winter vegetables and fruit and an excellent accompaniment to chef John Besh's Horseradish-and-Herb-Crusted Beef Rib Roast. Chefs at haute couture restaurants often use the most expensive cuts of meat: Consider chef Wayne Nish's Loin of Colorado Lamb with Five Herbs, Summer Truffles and Late Summer Vegetable Pistou. 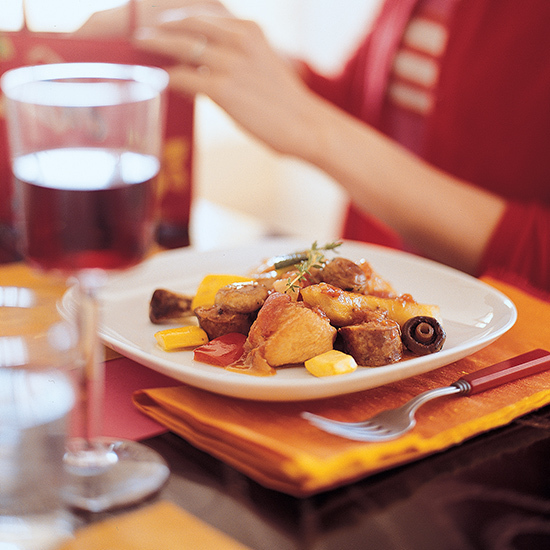 To make the dish more accessible, we swapped lamb chops for the more costly boneless lamb loin and streamlined the complicated preparation as well. Buying whole chickens and cutting them up at home isn't just economical; it also yields trimmings that make the sauce extra flavorful. 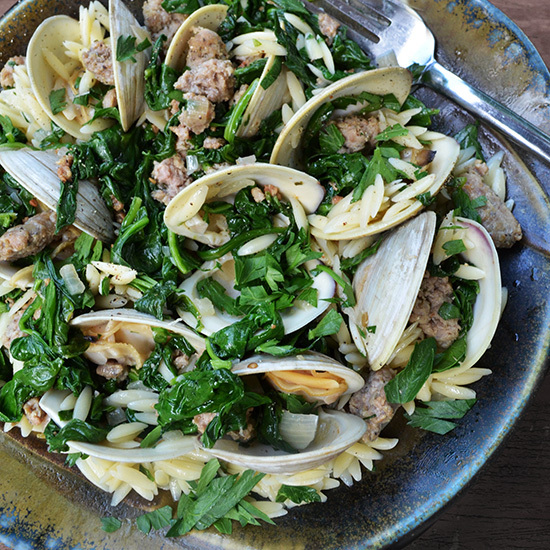 This one-dish meal has it all: rich Italian sausage (meat), briny clams (seafood), leafy greens (vegetable) and rice-like pasta (starch) to soak up the delicious juices. 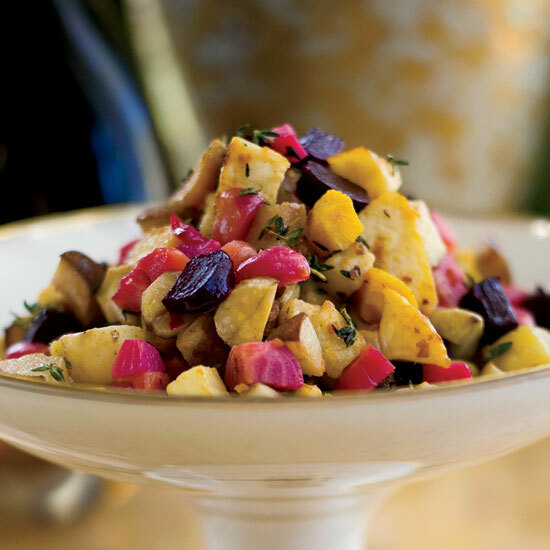 This recipe was inspired by the time chef Jeremiah Tower spent cooking with culinary genius Richard Olney in France. 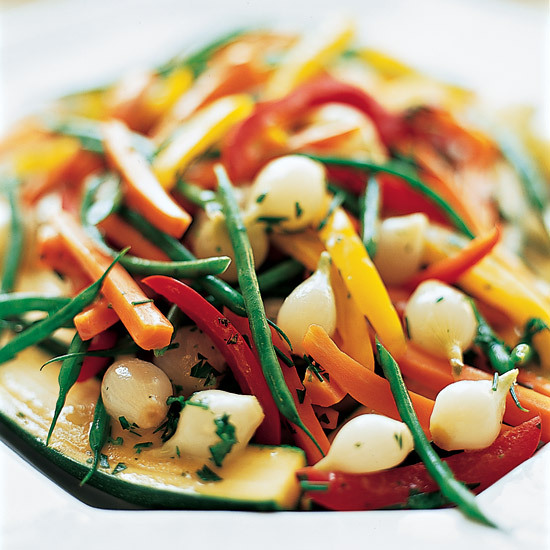 No better appreciation of vegetables can be found than in Olney's book Simple French Food, Tower says. The vegetable combination here is only one of many, though Tower never uses more than seven vegetables and never uses tomatoes unless they are sweet cherry tomatoes.